Virginia, which has one of the highest rates of Lyme Disease nationwide, has passed a law that requires a flow of awareness about Lyme Disease: the Department of Health must inform doctors, who must inform patients, that Lyme Disease is commonly misdiagnosed. The test for Lyme Disease gives a high rate of false negatives, meaning people are told they don’t have the disease when they actually do. This can lead to a slew of problems: delayed Lyme Disease treatment, doctors discounting patient’s accounts of symptoms (since Lyme Disease symptoms aren’t obvious in the cut & bruise sense), and potential long term effects from the lack of treatment (the longer Lyme Disease goes on the more chance inflammation caused by the disease could damage the heart and other organs as well as cause joint pain/damage, and without treatment it’s harder to kick Lyme Disease symptoms, even if the bacteria is technically gone ). Hopefully more areas strongly affected by Lyme Disease follow Virginia’s approach and spread awareness. 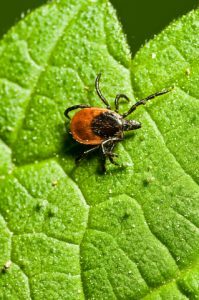 Lyme Disease is spread by ticks year round, but is especially prevalent in spring and summer. Previous post: Cure The Heart, Kill The Kidney?